Simplify your life. Save time and money with leading business communications systems and network services. Get peace of mind with Long Island’s outstanding 24x7x365 customer support from Alpha Computer Group. Small businesses and leaders in the public and private sector turn to Alpha Computer Group for innovative technology. Find out why over 25,000 customers depend on us for affordable voice, data, carrier, and video solutions. Get cost-saving voice, data, and video applications that can improve your operations and help you beat the competition. Count on our worry-free installations, warranty programs, and expert technical support. We offer both on premise and cloud phone systems for Long Island. More than a hosted PBX, Alpha-Cloud is a full-featured Unified Communications (UC) solution designed for SMBs. Now you can take advantage of powerful UC features, including presence, instant messaging, conferencing and mobility all for a low monthly rate. See for yourself how our Cloud simplifies the way your business communicates, anywhere, anytime. Our experience and engineering gives your company a robust UC feature set without the hassle and expense of complex licensing models. All phone system features are included for every user! No longer do you have to worry about the added expense of feature licenses if one of your staff members needs more functionality. Have a newly promoted employee who now needs to record calls? Great, just click a button to turn it on! The features set provides many products under one license. Traditional phone systems would require individual feature licenses for major applications like voicemail, faxing, and and IVR’s. With Alpha Computer Group, your company can simplify its communications down to one powerful solution delivered in the cloud or on-premise. Get mobile apps, call recording, desktop faxing, ACD, presence and much more all in one turnkey solution-all in one price. With our hosted cloud technology, you can make calls on any device with an internet connection. Imagine getting a phone call on your office phone then seamlessly transferring it to your mobile phone while you head to a client meeting. You can take your business phone number, chat and voicemail anywhere with our smartphone app. Our hosted PBX phone systems are tailored to fit modern business needs like speed, mobility, and reliability. With them, you can increase your productivity and work from anywhere so you can get back to business. Alpha Computer Group provides the latest technology in phone systems for those in the Long Island area. We have all kinds of business services pertaining to communications, including a cutting edge VoIP phone system. As a phone system provider, we can guarantee that we have what you’re looking for. We have partnered with all the major US brands, including Asterisk PBX, 3cx PBX, Freepbx, Elastix, PIAF, WAZO and many more. This has made us the #1 provider of business phones in the small to medium-size business market. We are the fastest-growing provider of phone system services in Nassau County and Suffolk County. Having a VoIP phone system installed in your corporate office could be the best decision you ever made. Not only does our business phone service reduce costs, it also provides a more effective and manageable processes. We provide the best Business phone systems Long Island offers. We proudly offer our services to the entire state of California. We are notably one of the top VoIP providers, and hope that you will call today to find out more about the benefits of using Alpha Computer Group as your sole VoIP services provider. There are great Mitel solutions out there that can continue to grow and expand your business. Alpha Computer Group is pleased to offer them to you. Our Cloud-Based Business Phone service eliminates the complexity and high cost of your telephone and Internet services. Imagine having the ability to manage your system easily through our OfficeTalk self-serve portal, enabling you to add or remove services. With all your current phone system questions, as well as all the options out there, sometimes it’s nice to have a professional help you understand what can be accomplished. We’d be happy to help—free of charge. Contact us today to book your free, no obligation, consultation. Alpha Computer Group offers affordable Long Island business phone systems, and specializes in Digium products including the incredible Switchvox product line. We design Long Island Digium Switchvox PBX systems, that can help you save money with an Asterisk open source solution. Our Long Island Asterisk Phone Systems offer an affordable call center solution, without expensive license fees for adding new features. Alpha Computer Group is proud to serve the United States and Canada, offering Long Island business phone systems including Asterisk PBX and Digium Switchvox. Our Long Island Asterisk phone systems are capable of running large operations including call center phone systems numbering up to 500 seats. With a full range of features and the latest in SIP compatible PBX solutions, you will have greater flexibility with integrating with existing applications combined with the perfect combination of powerful and affordable solutions for advanced business requirements. Get more information about how our Long Island Asterisk phone systems can maximize your business power, control, and flexibility by speaking with one of our agents today. Not only do we conduct custom Asterisk builds and programming, we can also provide you with expert consultancy on several types of Long Island Asterisk phone systems. We can demonstrate how you will benefit from this powerful open-source software-based PBX. With Digium Switchvox, your Long Island business phone system will be able to take full advantage of advanced Unified Communications tools by utilizing a beautiful graphical interface that makes administration simple. Unlike some other business phone solutions based on the Asterisk platform, Long Island Digium Switchvox not require license fees for every feature. In fact, most popular business features will be built into your base Long Island Asterisk phone system. Contact us today, and let the experts at Alpha Computer Group help you with your Long Island Business Phone System @ (877) 608-8647. We have been working with Asterisk in Long Island for over 10 years in Enterprise and Small Business networks. We have more registered Asterisk installations than anyone else in Long Island. We have helped leading Long Island companies implement Asterisk both in house and in the Cloud. We can help you with whatever your Asterisk environment maybe, simple or complex. We offer support contracts for your Long Island Asterisk installation. This ensures you get the optimal performance out of your open source software, and is necessary for any technology that you run your business on. Any company looking to implement a new installation of Asterisk should consult with an experienced VoIP architect. We have those experts on staff and get calls from all over the country for design/build assistance. We are considered an expert in this arena by our peers, which is the ultimate endorsement. 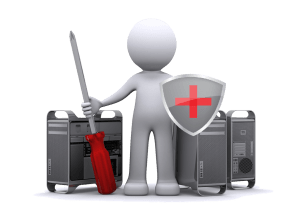 Our unique approach to Asterisk redundancy allows your organization to operate a secondary server that can take over responsibilities immediately and automatically should the primary server fail. Nobody else knows how to do this in a real world scenario with Asterisk like we do! Now that you have the confidence of a support contract from StrategIT for your Long Island Asterisk installation, sit back and relax. Let us do the work for you. Searching for a high-quality provider to realize your data networking needs can be an extremely difficult task. Alpha Computer Group’s specialization allows us to offer a wide variety of Data Networking System requirements including data switches, data routers, wireless access points, structured cabling, network services, video surveillance and videoconferencing services. Whether your data network needs maintenance or a complete overhaul, our Network Architect Engineers are ready to assist you. Call us at (877) 608-8647. Alpha Computer Group have been providing Long Island businesses with telephone systems since 2004. Alpha Computer Group uses only Cisco, Asterisk, Mitel, NEC, Avaya, Elastix, Free PBX, Grandstream, Snom, VoIP Phones and VoIP Certified technicians with more than 10 years experience and they are experts at installing and maintaining business telephone systems on Long Island and surrounding areas. Alpha Computer Group sales professionals are up-to-date and highly skilled at recommending and providing Long Island business telephone system clients with technical assistance and Long Island business telephone system advice for well over a decade. 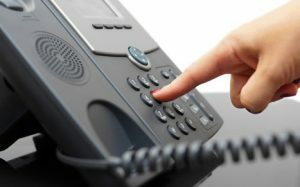 In that time, Alpha Computer Group has gained a reputation among VoIP Long Island clients as the “go to” company for expertise in sales of business telephone systems in Long Island, installation of business telephone systems on Long Island, upgrades to business telephone systems on Long Island, as well as maintenance and service. Our website is visited by hundreds of business telephone systems Long Island information requests every day. 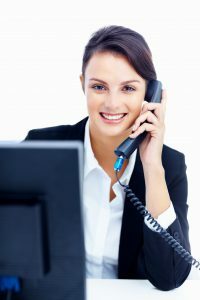 If you are looking for a phone system on Long Island or want to upgrade to a small office phone system in the Long Island area, you will not find a more technically qualified or service-oriented small business telephone systems provider than Alpha Computer Group on Long Island, NY. Office telephones and small office phone systems are Alpha Computer Group’s major focus and we pride ourselves in providing our customers expert IP Telephone systems sales advice and service. We also provide used office telephone systems sales and service to Long Island clients. The two primary ways of working from home while still using the resources of your business telephone system both utilize using an internet connection to either an On-Premise PBX (in which the hardware appliance is kept on-site in your server closet) or a Hosted PBX (where your phones connect through your Internet connection to a cloud based data center). When considering the choice between an On-Premise PBX or a Hosted PBX there are many factors to consider. We feel that there is no “Best” solution. The decision should be based upon the unique needs of the organization. Below are a few of the advantages and disadvantages of Hosted and Premise based VoIP Telephone Systems. Enterprises of all sizes depend on Long Island Business Phone Systems for unified communications that improve efficiency, collaboration, customer service and ultimately competitiveness. Unified Communications simplify the proliferation of technologies that businesses deal with every day. Our people-centric solutions integrate voice, video, data and cloud, enabling users to communicate and collaborate in real time, in the mode best suited to each interaction. Give us a call today at (877) 608-8647 and speak with one of our business telephone systems experts in the Long Island area. Business owners who have used a traditional phone system for years are skeptical about making the switch to an innovative IP telephony system. In the newer phone systems VoIP technology provides all the traditional functionality through the existing computer network. Long Island VoIP phone system providers will demonstrate the best reasons to switch to any willing listener. Each company will realize certain benefits from working with a Long Island VoIP company. Each user on the network is able to make profile changes for their location, access the directory dialing feature, and leverage features caller ID, calendar integration, and call waiting at the click of a mouse. Document sharing is made simple and any call can be transferred to another location through the California VoIP phone systems. Tasks that make money for the company can take priority since the phone system is simple to modify and maintain. Instead of buying extra phone equipment just in case someone joins the office staff, each new user is added to the VoIP phone system through a user-friendly computer screen. The need for phone support specialists is removed because any user can add a new phone in an IP telephony system. A reputable Long Island VoIP phone system provider will state the many cost savings that come from being able to scale the phone system to the current need without expensive equipment. When a new staff member is provided with a computer, a new user is added to the phone system in any number of locations. All obsolete users can be removed from the VoIP phone system just as easily to keep the phone network up to date. IP telephony makes office moves much more affordable since telecommunications requirements will be part of the computer network implementation. Long Island VoIP phone systems are ready to use when the computer system is up and running. Since the phone and computer systems are merged, fewer communication circuits from the Long Island VoIP phone system provider are needed. Fewer pieces of telephone equipment are required as a capital investment which means a growing company can use funds for revenue-generating equipment. Obsolescence and equipment expense is eliminated because phones and PBXs are not necessary. With updated phone systems VoIP clients realized monetary savings in labor, depreciation, hardware and productivity. Ease of use is one of the primary reasons so many costs can be lowered. Another favorite benefit is the ability to change an individual’s location so the clients are always able to reach the right person through California VoIP phone systems. When other people are raving about their new VoIP phone system, the perfect opportunity to gather more information has just presented itself. Innovation through VoIP can be one of the most important steps a business owner can take to improve business communications. Alpha Computer Group specializes in new and refurbished phone system sales, installation, and service for small & medium businesses throughout North America. We offer wholesale pricing to the public and stand behind our phone systems, cable and wiring installation and SIP, T1 and Analog dial tone plans with a 100% money-back guarantee. We offer complete turn-key Asterisk based phone systems that have amazing features and don’t carry the high license fees for adding new features or users that you see with other small business phone systems. These software based PBX units can utilize T1, analog, or SIP diatone – in any combination allowing you to have low cost, high quality service with backup capability. This is a great solution for your call center up to 500 seats. Alpha Computer Group is the industry leader in refurbished Nortel Norstar digital and VoIP phone systems. With more than 15,000 systems sold, we have satisfied customers in all 50 states and throughout Canada. Our unique 26 point refurbishing process yields equipment that is 100% to factory spec and covered by a comprehensive one year warranty. If you want the best quality but you’re on a budget you can’t beat these solutions. Our SIP Trunking supports the G711U codec as well as the G722 codec to deliver the highest call quality over your SIP trunking service. Our wiring technicians take great pride in their work. We have already earned a reputation as “the one to call” when you want the job done right the first time, on time, and at a fair price. Alpha Computer Group is an expert in all aspects of fiber optic cabling. From 6 strand single mode all the way up to 24 strand multi-mode, Alpha Computer Group has the infrastructure and the teamwork to engineer and deploy fiber optic communications in buildings of every size. We offer Long Island and surrounding areas a one source solution for all your data cabling & business phone system needs. Our expert installers have the ability and experience to help you with the design and installation of your Data, Voice, and Audio/Video wiring & network cabling, as well as the installation and service of business phone systems and VoIP phone systems. Call us today at (877) 608-8647.